Featuring sculpture, painting, drawing and printmaking work by 16 New College of Florida students. 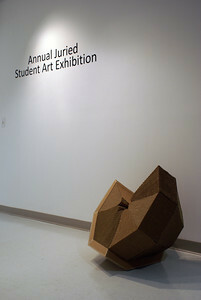 The fourth annual New College Juried Student Art Exhibition features sculpture, painting, drawing and printmaking work by 16 New College of Florida students now through March 2, 2012, in Isermann Gallery. Juror Kim Russo, head of the fine arts department at Ringling College of Art and Design, will give a talk and present awards during the Opening Reception on Thursday, February 9, from 6:30-8 pm. The exhibition is free and open to the public weekdays from 9 am to 5 pm in Isermann Gallery, located in the Caples Fine Arts Complex at 5313 Bay Shore Road, Sarasota. Directions: At the intersection of U.S. 41 and University Parkway, turn west toward the Ringling Museum, then left at Bay Shore Road. Isermann Gallery is located behind Mildred Sainer Pavilion. For more information, contact New College Professor of Art Kim Anderson at kanderson@ncf.edu or 941-487-4670. 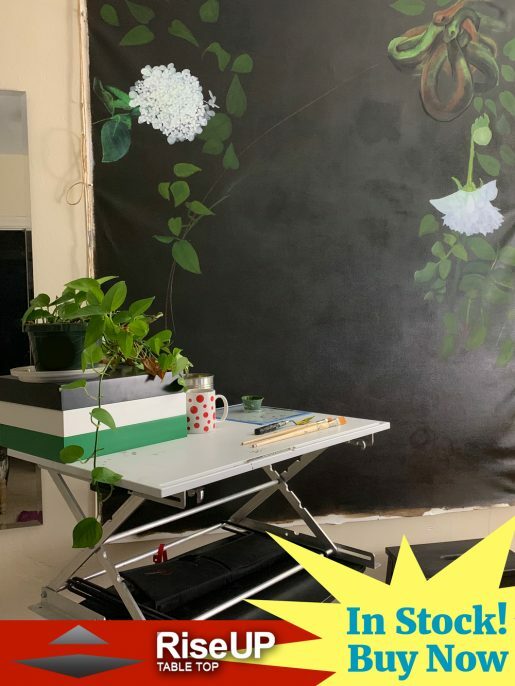 The first place student artist receives $300, and his or her work becomes part of the campus collection to be displayed in the new Academic Center at the corner of U.S. 41 and College Drive. Second place is $100, and third place is $50. New College students participating this year include Kyra Berman-Gestring, Lily Carbone, Coral Chepren-Moore, Leah Duncan, Eugenie Fortier, Sherry Haber, Emily Martin, Alexandra Miranda, Suzanne Olvey, Spencer Riolo, Analeah Rosen, Richard Sampson, Ben Sims, Lace Jayne Spencer, Melinda Thackrah and Alexander Wyllie. Kim Russo is an artist, writer and educator in addition to heading the fine arts department at Ringling College. She has exhibited her work throughout the United States and in Ireland. Her solo exhibition, Family, was recently on view at the Cornell Fine Arts Museum in Winter Park, Fla. Russo has received a regional artist’s grant from the National Endowment for the Arts as well as residency fellowships from the Lenz Foundation, Caldera, the Atlantic Center for the Arts and Americans for the Arts. Founded in 1960, New College of Florida is a national leader in the arts and sciences. Consistently ranked among the top public liberal arts colleges in America by U.S. News & World Report, Forbes and The Princeton Review, New College attracts highly motivated, academically talented students from some 40 states and nearly 25 foreign countries. A higher proportion of New College students receive Fulbright awards than graduates from virtually all other colleges and universities. Next Next post: Olda Reviews: Contain It! … Ok, Not So Much.